DELRAY BEACH, Fla. (WPIX) — A dog who somehow found her way to a New Jersey animal shelter has been reunited with her family 1,200 miles away in Florida after disappearing three years ago. Bella, a Maltese-Pomeranian mix, returned to her family in Delray Beach just in time for Thanksgiving, owner Bill Gerstein told PIX11 News. Gerstein lost Bella back in December 2013. The dog accompanied the immigration lawyer everyday to work, and one day when he let her outside, Bella never returned. Gerstein said his co-workers and family looked feverishly for the dog to no avail. "I always, as I was driving to my office, even up to the week before, would always look out the window along the fence lines and just in the hope that maybe I would see her," he said. So when the family received a call from an animal shelter in Paterson, New Jersey, on Nov. 22 saying the shelter had their dog, Gerstein was shocked. "I immediately, within 10 minutes was online and booked a flight," he said. "As soon as I picked her up, she was like speechless. Shaking, tail-wagging, couldn't even bark. Just in shock and amazement, as was I." 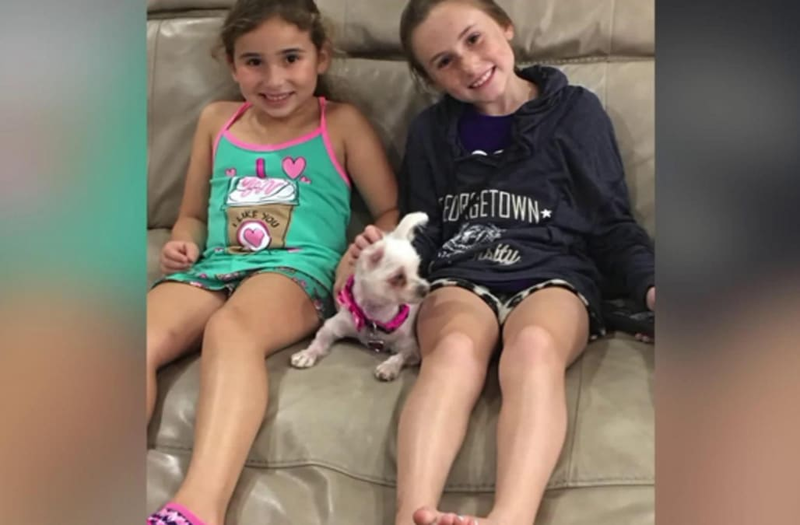 Gerstein credits a microchip implanted in Bella's back with helping the animal shelter to reunite the dog with her family in Florida. Shelters and vets often carry scanners that allow them to check to whom the chip is registered. In this case, it was the Gerstein family. "I've been here 12 years and I've never seen this happen, where the dog's been been missing three years and gets reunited with the owners," said Angel Rivera, a Paterson Animal Control officer. "Thanksgiving, perfect time. The family was happy. We were happy," Rivera added. Since Gerstein returned with Bella to their Delray Beach home, his kids and family have barely left the dog alone. "Her feet have barely touched the ground," Gerstein said.